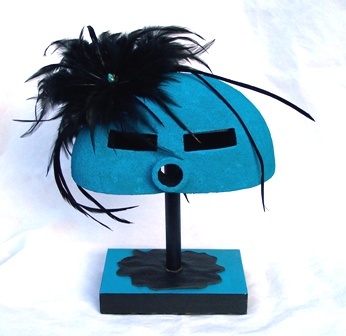 Turquoise and Black half mask with wooden stand. 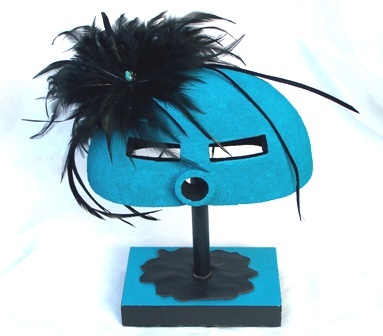 This mask is textured with sand and sealed with leather and feathers. 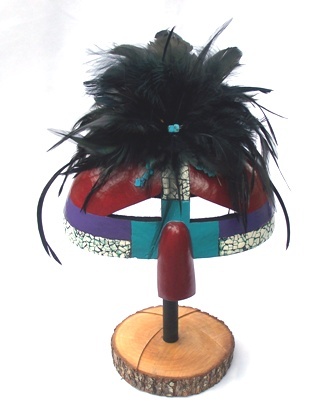 The mask of purple, turquoise, and red is embellished with feathers and beads. 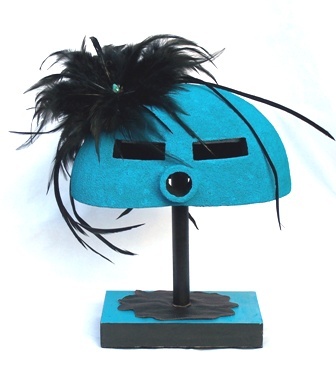 The bottom half is covered with egg shell mosaic. 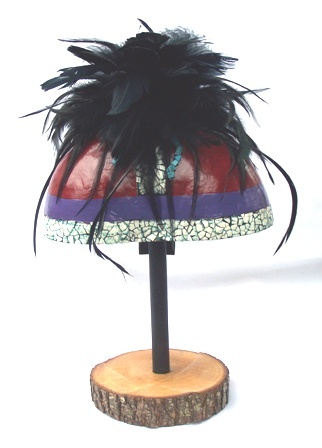 Stand is made from a Bradford Pear tree.